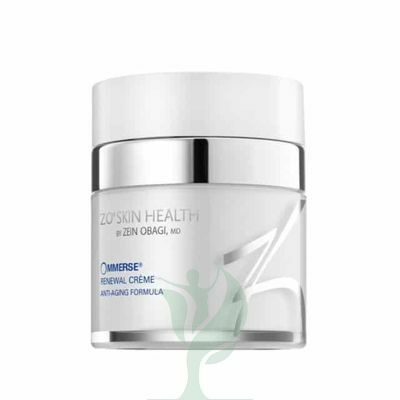 ZO® OMMERSE® RENEWAL CREME is an anti-aging skin cream made with sodium hyaluronate, jojoba, oat extract, willowherb extract, photosomes, oxysomes, coenzyme-Q10, retinol, and other ingredients to help hydrate, nourish, and protect skin. Without a daily dose of hydration your skin would be flaky, itchy and tight. The skin moisturizer helps soothe and hydrate while promoting the growth of collagen and the skin’s protective barrier. With its light formula, this skin cream hydrates without leaving an oily residue. Doctors such as plastic surgeons and dermatologists may recommend Zo Ommerse Renewal Creme to their patients who have dry, aging skin. 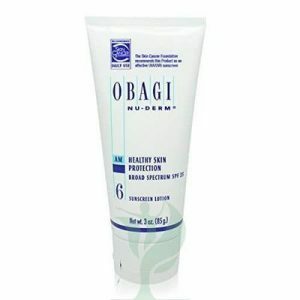 This daily skin cream helps to moisturize while promoting skin repair for a more even skin tone. ZO® OMMERSE® RENEWAL CREME contains sodium hyaluronate and jojoba ester, which help restore moisture to dry, aging skin. Herbs such as oat and Canadian willowherb extract help to soothe the skin and reduce irritation while the photosomes provide enzymes for DNA repair. The vitamins C and E, which are called oxysomes, and the coenzyme-Q10 have antioxidant properties which help trap free radicals, protecting skin from the damage they can cause. The other major ingredient in ZO® OMMERSE® RENEWAL CREME, the retinol, helps to stimulate collagen production and the renewal of the epidermis, which can strengthen skin for a more even skin tone. Together, the ingredients in ZO® OMMERSE® combine to hydrate, nourish, calm, and soothe skin while helping repair the skin barrier. These unique ingredients as well helps to regain the lost moisture.